I built a simple amplifier using the following instructions off make.com (the instructions are for building an amplifier and speaker enclosure, I simply used the amplifier design) and connected it to a HiWave Exciter. 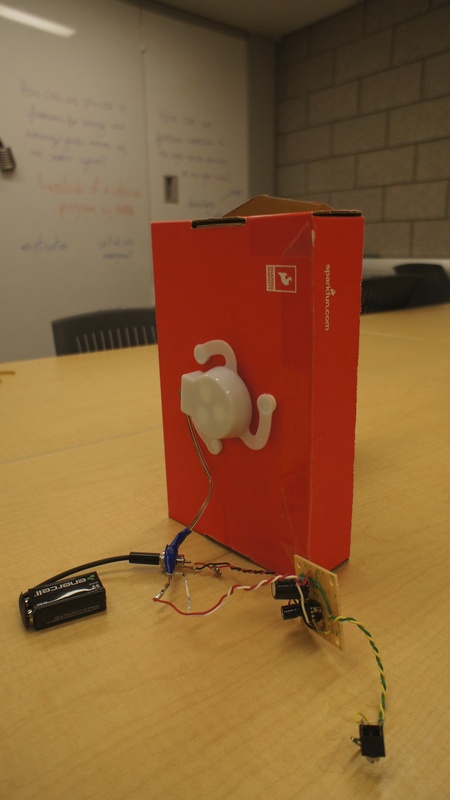 This device attaches to any surface and turns it into a speaker! After trying various surfaces like a table, glass, a door or different objects like shower caddies and the screen of my laptop, I settled with cardboard boxes. Unlike conventional speaker cones that vibrate back forth, this device causes vibrations in 2 dimensions across the rectangular surface. These can be modeled a basic level by solving the wave equation in 2 dimensions. The next step is to make a stereo version with better amplifiers.